"I think you just got a glimpse of the future of education." -Bill Gates speaking on Khan Academy at TED 2011. In 2006, Salman Khan worked as an analyst at Wohl Capital. Today, he is changing the rules of education through his website, KhanAcademy.org. 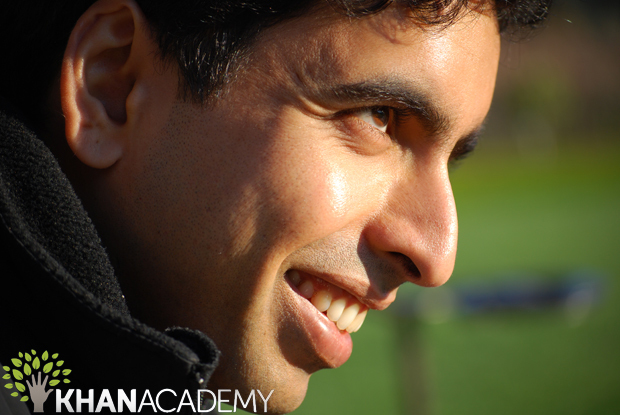 Khan Academy is a online teaching system whose goal is to reshape and improve education by providing free, world-class instruction to anyone. The tool was born with simplicity as its focus, and this has fueled its broad appeal. Five years ago, Salman Khan's young cousin, Nadia requested that he tutor her in math. Khan, being the amiable and supportive type, cheerfully obliged. He began tutoring Nadia remotely via the internet using Yahoo Messenger and Microsoft Paint. This was going extremely well, until one day Khan recorded a few lessons by himself and posted them to Youtube for Nadia to view on her own time. The next day, Nadia called up her big cousin and said that she didn't want him to tutor her in person anymore. Instead, she requested that he continue to post videos. Khan was somewhat taken aback. "[She] told me she preferred me on Youtube rather than in person," he joked. But it made perfect sense! Nadia was granted direct control over the lesson. If she missed something, she could pause and rewind. There was no pressure. She could learn at her own pace. This became the basic and brilliant premise behind Khan Academy: put the learner in complete control. Khan Academy has been receiving a lot of attention. As of this week, there are now over 2,700 instructional videos on Khan Academy on a host of different topics ranging from simple algebra, to biology and chemistry, to American civics and history, to finance and the Paulson Bailout. Khan narrates all of the videos himself, utilizing only pictures and a computerized pen on a black background to elucidate the topics. His videos are brief and his teaching style is quirky, easygoing, and above all, comprehensible. It is as if you are being tutored by your best friend. The design of Khan Academy makes it uniquely accessible to millions of people, but what is really drawing students is the game-like spin it is putting on education. Khan pupils can gain energy points for watching videos and completing lessons. They can also earn badges by completing difficult challenges. For example, one can garner a "Double Power Hour" Earth Badge by correctly solving 180 questions and watching thirty minutes of video in two hours. It was the lure of these challenges that drew me in to Khan Academy. Presently, I've earned seven meteorite badges, three moon badges, and 10,908 energy points. I've also realized that I don't know as much about logarithms as I used to. But with Salman Khan's guidance, I intend to be caught up in no time.